"Clean, not too much make-up for the guys." 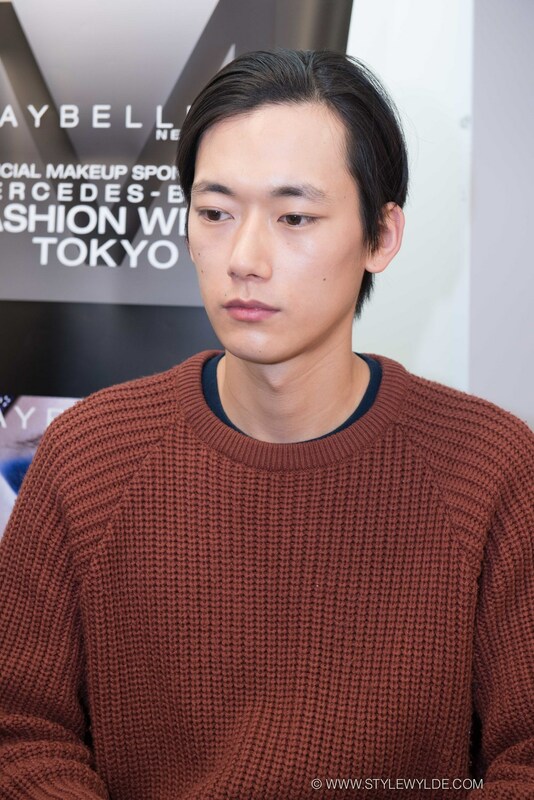 was the description of the look being done backstage at the Sulvam Fall 2015 collection by the superstar artist Mizu and the Maybelline team. To perfect the male-models skin, Mizu used Maybelline Baby Skin Pore Eraser, Maybelline Mineral CC Brighten up Cream, and Maybelline Baby Lips chapstick. This quick and easy look made for a very relaxed and happy atmosphere backstage, that led to a little bit of hamming it up in those moments when I was the only photographer present. Images from the scene backstage below, click on any to launch into large lightbox format for best viewing. For more from the Sulvam Fall 2015 collection, check out our full feature in Runway.